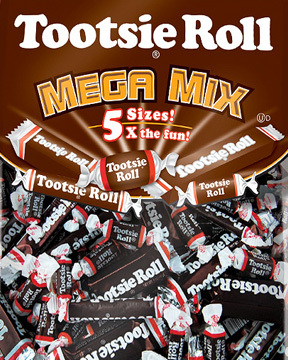 Chicago, IL - Tootsie Roll Industries now gives chocolate lovers extra convenience with the new packaging for the Tootsie Roll Mega Mix! This Tootsie Roll delivers something for everyone: Midgees, Mini Midgees, Juniors, Snack Bars and Mini Bars. Resealable, stand-up pouch offers convenience and easy storage.